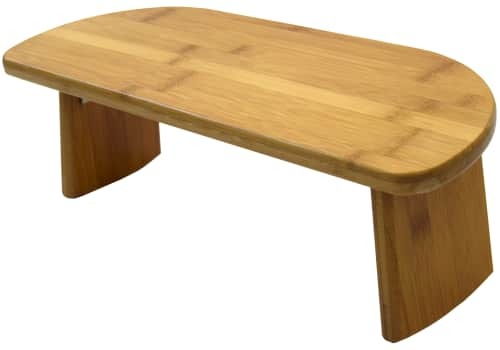 Meditate longer in comfort with this specially designed bench for meditation. 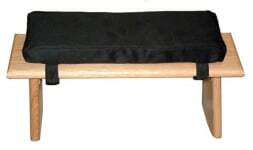 Meditating with our Earth-Friendly Bamboo Folding Portable Meditation Bench provides a very comfortable, kneeling only, alternative for those who have difficulty in cross-legged sitting meditation. The curved leg design of our meditation kneeling bench allows you to switch back and forth between sitting and kneeling, for additional comfort during longer meditation sessions. It also reduces stress on your back, knee, hip, and ankle joints, while providing effortless spine alignment for kneeling meditation only (not for sitting on top). 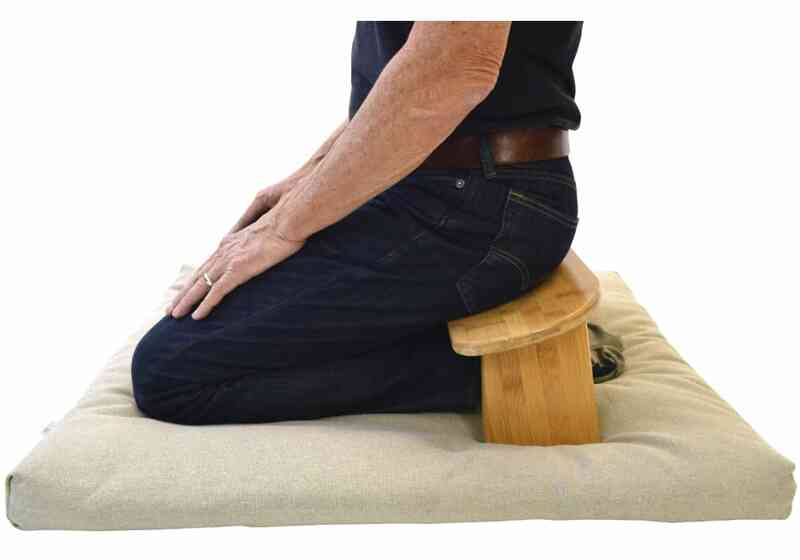 The special curved bottom surface of the legs allows the meditator to instinctively adjust spine and pelvis alignment by rocking forward or backward to get an ideal, stress-free, session. 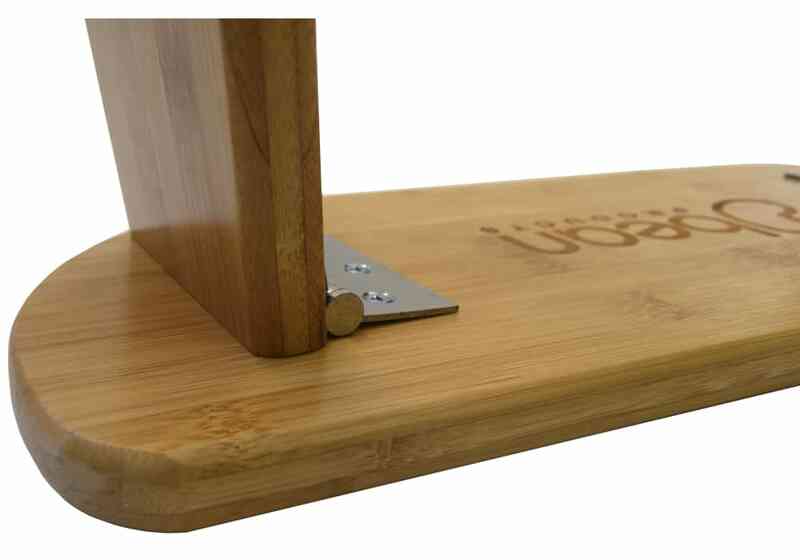 This allows for your customized angle, compared to common, fixed, flat leg benches. 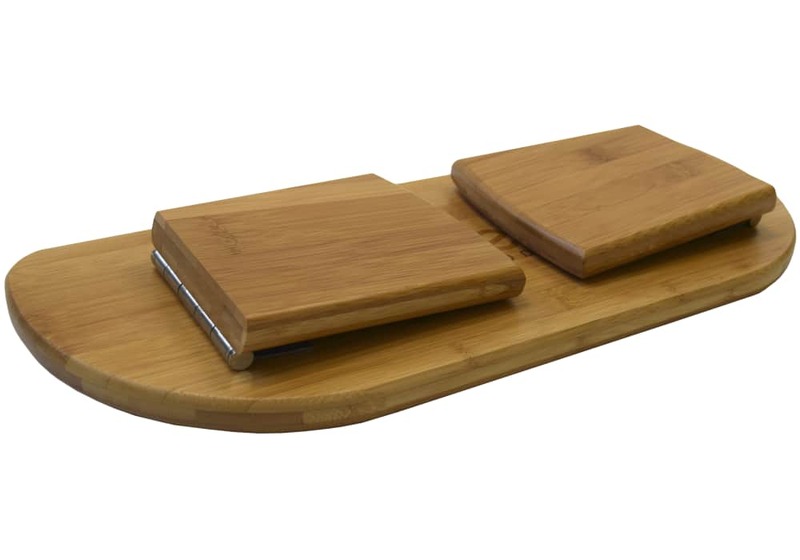 Our tightly hinged bench legs also fold up for easy portability and storage. Made from high quality, beautiful, sustainable, and fast growing bamboo wood, protected with a durable and eco-friendly natural oil finish. Inside distance between legs: 14.5"
What's so great about bamboo anyway?